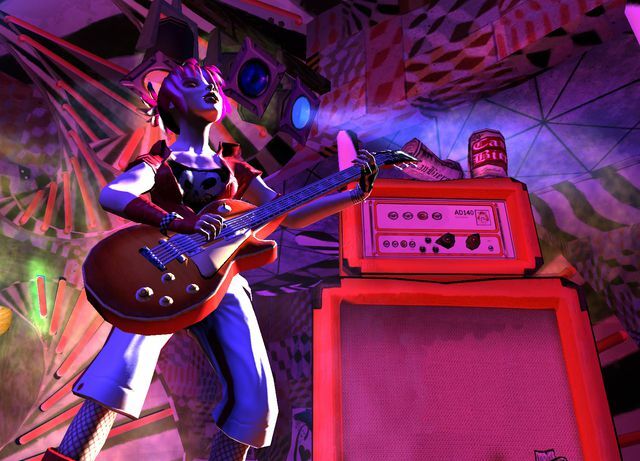 Below are "Guitar Hero 2" cheats for the PS2 system that unlocks visual effects and play modes. There are two sets of cheats for each effect, NTSC, and PAL, based on the country your version of GH2 DVD was published in. If you are in the USA, use the NTSC disc cheats. If you are in Europe, use the PAL disc cheats. Entered codes at the main menu using the game guitar(either bundled with the game or purchased separately).